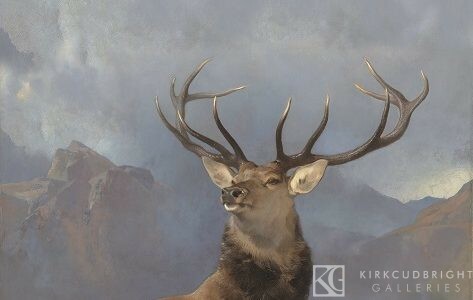 Since last October the Monarch of the Glen has travelled to galleries in Inverness, Perth, Paisley and Kirkcudbright. Each gallery has run a programme of activities linked to the painting and it has inspired creative responses from dance performances to poetry. We hope you enjoyed viewing this masterpiece at Kirkcudbright Galleries!